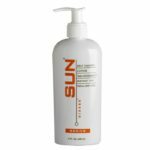 Self-tanners and sunless tanning products alike have been widely recognized as the best alternative to sunbathing and using the tanning bed or booth. Not only does it eliminate extended UV exposure but its less hassle and entirely safe to use. You just need a reliable guide to advise you on the best brands. Most self-tanning lotions are even good for your skin and improve the feel and look of your skin with regular use over time. 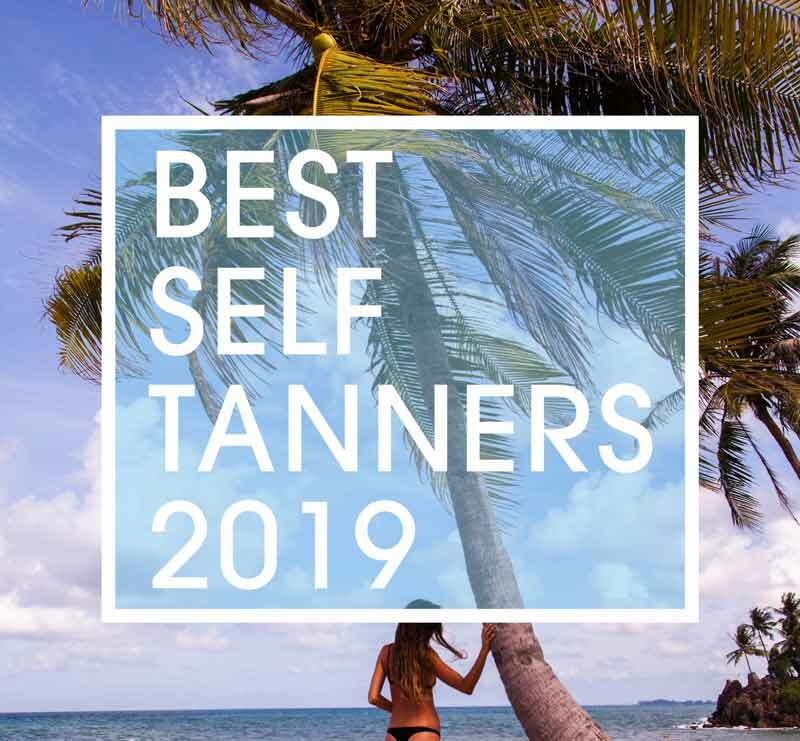 We have narrowed down 10 of the best self-tanners you will find on the shelves of your local drugstore or for you millennials, the online marketplace. Always prep your skin first before applying your self-tanner, i.e., shower and exfoliate your skin and keep your skin hydrated the days before and after. When using self-tanners, limit your activity after application even after it dries. 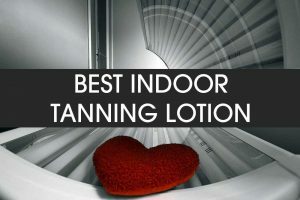 Self tanners continue to work overtime to gradually develop your tan so there are many things that can disrupt the coverage; sweating and rubbing against furniture, getting in and out of your car especially while wearing clothes can rub away the self-tanner so that you arrive at a blotchy and or streaky looking tan. Apply lotion on body parts that bend and crease such as the elbows, knees, wrists, and knuckles. The self-tanner will make these areas look darker than is needed and quite unattractive when it’s done developing. To prolong and maintain your tan, moisturize daily, exfoliate regularly and reapply the self-tanner as frequently as desired. 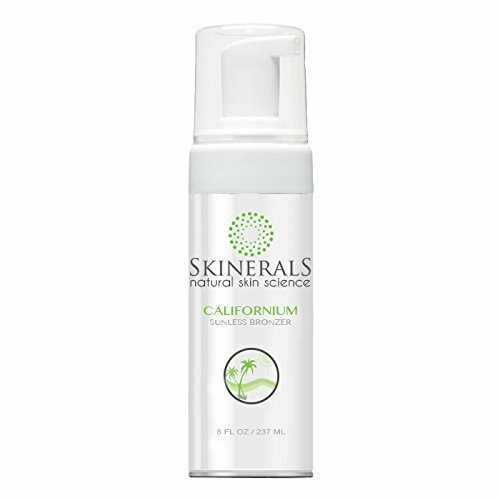 Skinerals Californium is an uber-effective self tanner that concentrates on using pure and natural skin nourishing ingredients to produce a high degree of care for your skin. It has our seal of approval for one of the highest-ranking self-tanners there is. This self-tanner is a dark brown liquid that comes with a foam dispenser bottle. We suggest two pumps per application until you have covered the areas you want to get color and use with a mitten for best results. The foam goes on smooth and easy and dries pretty quickly too. 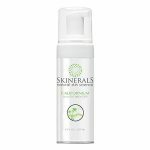 Its super lightweight formula makes it tolerable to leave on your skin for a couple of hours before showering; you also want to do this so that it fully penetrates and stains your skin to maximize the staying power. Your tan can last as long as six days before it begins to fade! We love Beauty by Earth for a number of reasons. 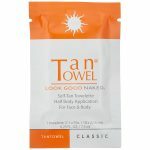 For one, it gives the most dramatic yet natural looking tan you can achieve from a self- tanner. The cream has a rich texture that not only goes on smooth but also leaves your skin feeling conditioned and soft after every use. The color of the lotion is white, so there is no mess or color transfer to worry about. Once applied it develops and darken your skin tone to a rich bronzed looking sheen. You should see your complexion significantly darken after about 2 hours and reaches its peak at 6 hours, after which you can shower. 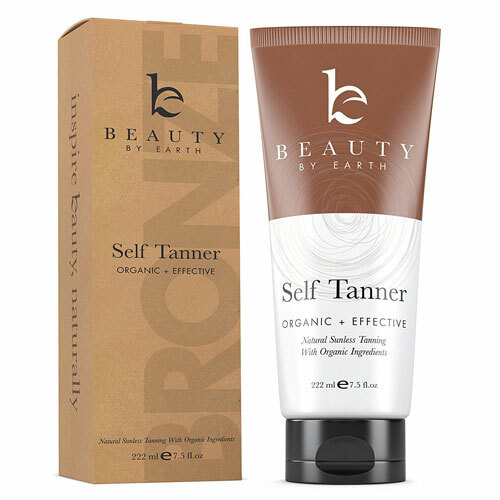 The great thing about Beauty by Earth and pretty much any self-tanner is that you can re-apply as many times as is desired to reach darker intensities of color. 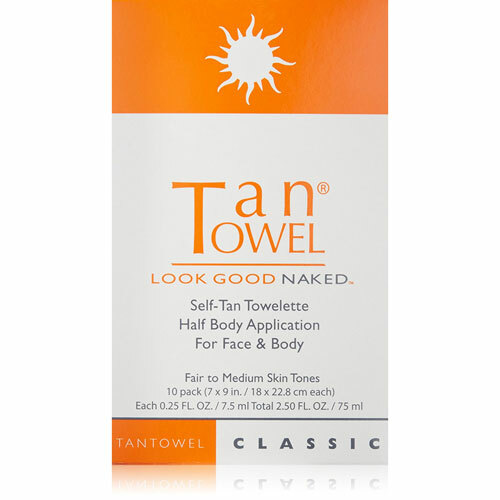 Tan Towels self-tan towelettes are quick fixes to arrive at tanned looking skin especially for beginner tanners or those who just can’t be bothered with the traditional application process. The great thing about these towelettes though, is how incredibly effective they are at getting you tanned. Rest assured, it will tan your skin but don’t expect elevated results in the end. It’s definitely the most effective towelette we have experienced using, the towelette is made of a pretty good absorbable material and is very well saturated with a nicely scented tanning solution. Looking to get a lasting golden tan? Then Fake Bake Flawless is the answer you’re looking for. No matter what skin tone you are, this self-tanner will give you a royal looking tan to last an entire week. Let’s be clear, you will experience fading approaching the 5th or 6th day, but it tapers down gradually and evenly to lighter shades, still providing added hints of color to your normal complexion. Fake Bake Flawless is a lightweight, dark brown solution that dispenses from a pump spray bottle and is best applied with their very own professional mitten that is enclosed in the box. We suggest about 2 to 3 pumps per body area, gliding deep strokes all over. The color of the liquid serves as an excellent guide to assist in getting you even coverage. Allow the tan to develop for roughly 4 to 6 hours before showering, upon which the reveal of a golden sun-kissed tan will emerge. 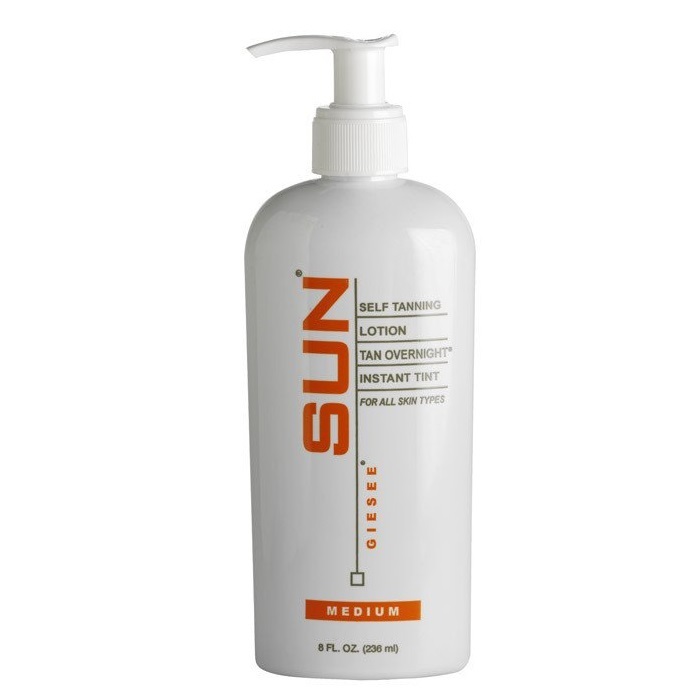 This is another quality brand of self-tanning lotion; Sun Laboratories uses some very beneficial additives in their lotions to condition your skin. There are sweet almond oil, aloe leaf extracts and vitamins E and C to revitalize and leave your skin feeling supple and soft after every use. We find that this self-tanner has the capacity to not only give you a deep dark tan but also moisturize your skin to produce the best overall appearance of your skin. 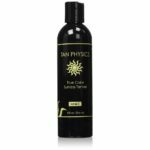 The Ultra Dark version of this lotion is of a brown chocolate color and has medium consistency and a good texture – it’s light and has a silky feel, which makes it apply very easily and dries pretty quickly too. 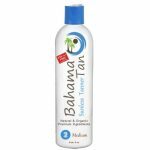 When applying, make sure to adequately coat your skin, then rub the mixture in a massaging method to avoid arriving at an uneven and streaky looking tan. 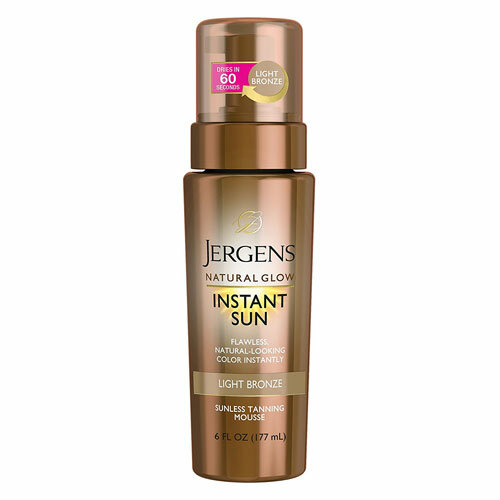 Good ol’ Jergens never disappoints, this instant glow natural sun self-tanner will get the job done and on a budget — it only costs 10 bucks on Amazon and pretty much the same at your local drugstore. Jergens sunless tanner will give you a natural bronzed sun kissed skin tone easily after 4 hours; however, you will begin to see color transformations in as little as 30 minutes. The mixture pumps out a very light foam puff, you will need to add about three pumps to your mitten or your hands if you prefer, and smooth over your skin then massage until it is completely absorbed. Avoid going over the same areas of your body and try to blend the mixture in a good as possible to not cause unevenness. The tan doesn’t last very long, especially if you wash off after the first hour or so. 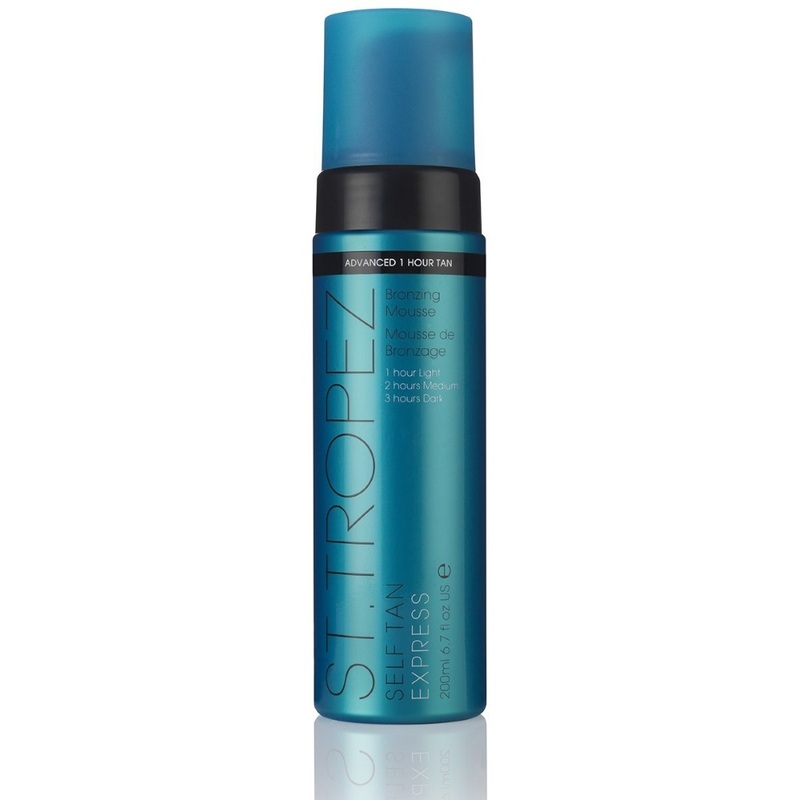 The San Tropez Express formula is crafted to speed up the tanning process time to just 1 hour. Gone are the days of waiting around for 4, 5 or even 6 hours to arrive at the perfect looking skin tone. If you are skeptical about what the makers of this self-tanner promise, then we’ve got news for you – they are spot on. Users can depend on arriving at a beautiful and natural looking tan in rapid time with San Tropez Self Tan Express. This self-tanner dispenses in the form of a brown colored mousse with very good consistency to give you good coverage when applying. We recommend using a glove or tanning mitten and rub the solution thoroughly unto your skin to maximize the look of your tan. 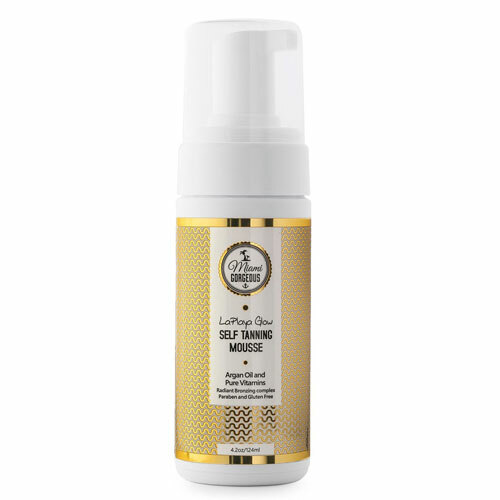 Once applied the solution quickly absorbs into your skin and proceeds to darken your complexion. After an hour you will see a light hue cast over your skin tone and gradually darkens in the 2nd and 3rd hour. Then you can shower anytime you feel that you have reached the shade that suits you the most – it’s that simple. Bondi Sands made our list of top picks primarily for its self-tanning capabilities. The tan it gives you is reminiscent of a pretty good suntan that you achieve after sitting out in the sun for a couple of hours. It leaves your skin with a beautiful bronzed glow especially if applied right. This self-tanner is not overly laden with skin conditioning ingredients. However, you should rid your skin of any lotions or creams before application. 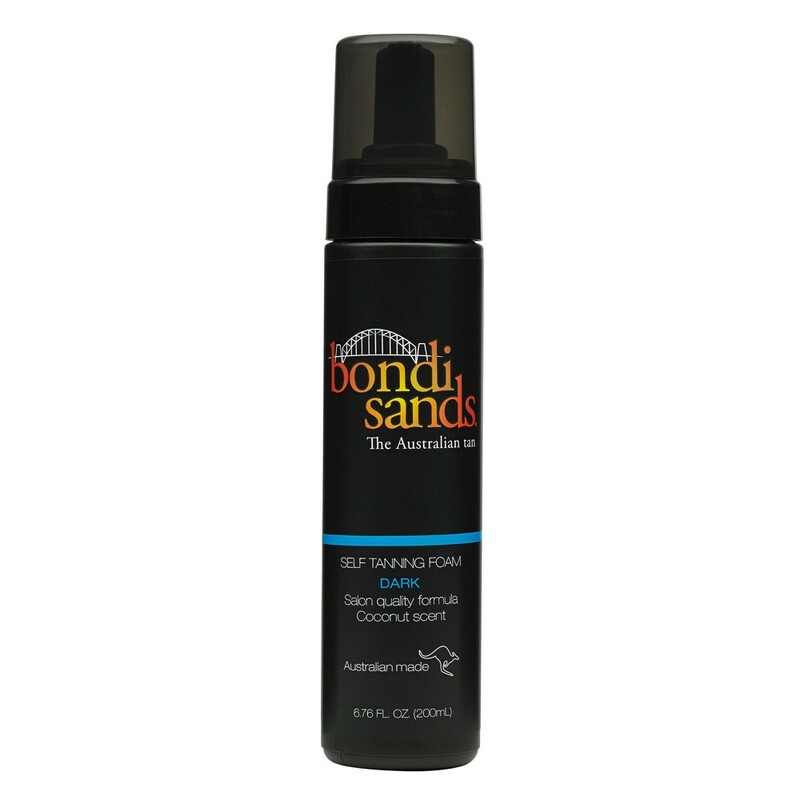 So we advise showering with an excellent moisturizing bath gel, rinse properly and dry your skin thoroughly before applying this Bondi Sands self tanning foam. Use with a mitten and rub the solution into your skin via long massaging strokes for the best results. Now here is a little bottle of magic potion you have to try. Miami Gorgeous LaPlaya Glow will deepen the shade of your skin to a golden hue after only one use. It doesn’t get you dark brown like some other tanners do, it merely intensifies your own pigment to a golden sun kissed glow. It’s important to leave the solution on your skin for an extended time to reap the full benefits, we recommend the entire day if possible but no less than 6 hours. Miami Gorgeous LaPlaya is a super lightweight formula that is dispensed in the form of foam; it spreads nicely on the skin and goes on easy. 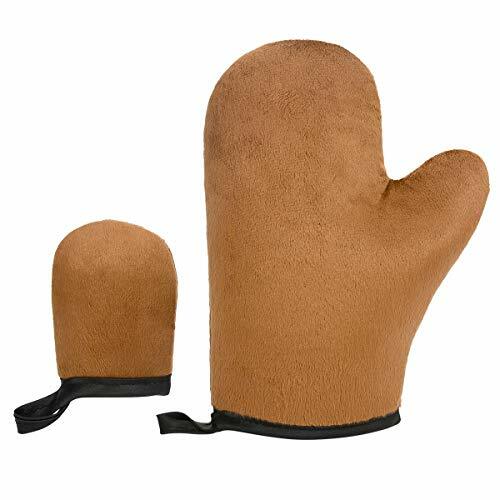 Just rub and massage the self-tanner in long broad strokes all over your body, preferably with a tanning mitten then leave it to dry. Yes, Fake Bake Flawless gets even darker. With higher percentages of tanning ingredients, you can expect an elevated tan that lasts even longer. The lotion is colored, so it goes on dark. You need to allow your tan to sit and develop for at least 4 hours but go as long as you can to achieve better lasting results. Best applied with a mitten, one is usually provided in their packaging, but you can always cop your own. Glaze your body with the lotion first then go over again a second time and rub the solution into your skin in deep, long strokes. Go over places that need blending. Once your tan materializes, you should arrive at a dark brown skin tone, and you can even reapply for more dramatic results. However, this self tanner can get you really dark so we don’t advise more than one application a week but it depends on your own preferences and how pale you are.